Jean Bricmont is a Belgian theoretical physicist, philosopher of science and a professor at the Université catholique de Louvain. He works on renormalization group and nonlinear differential equations. He is mostly known to the non-academic audience for co-authoring Fashionable Nonsense (also known as Intellectual Impostures) with Alan Sokal, in which they criticise relativism in the philosophy of science. Jean Bricmont also collaborates with activist Noam Chomsky and campaigns on a variety of progressive causes. In 2005 he published Impérialisme humanitaire. Droits de l’homme, droit d’ingérence, droit du plus fort ?, published in English as Humanitarian Imperialism in 2006. In 2006, he wrote the preface to L'Atlas alternatif - Frédéric Delorca (ed), Pantin, Temps des Cerises. He is a member of the Division of Sciences of the Royal Academy for Sciences, Letters and Arts of Belgium. 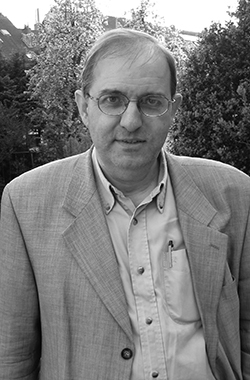 In 2007, he wrote an article in French discussing the possibility of a US invasion of Iran: "Pourquoi Bush peut déclencher une attaque contre l’Iran".